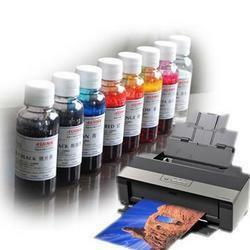 Prominent & Leading Manufacturer from Vadodara, we offer inkjet ink dyes. Since our inception, we are engaged in formulating Inkjet Ink Dyes that are widely used for producing inks as well as coatings. Our dyes find their application in diverse industries and have achieved applause due to their extensive features. These dyes are 100% checked and tested by our team of quality controllers to ensure flawlessness.